Watford goalkeeper Ben Foster insists that Arsenal shot-stopper Petr Cech is being forced to change his game, which is the reason for his recent mistakes. The Gunners have endured a difficult start to the new Premier League campaign, suffering back-to-back defeats in the opening week against Manchester City and Chelsea. New boss Unai Emery has seen his team ship eight goals in their first four matches, most recently letting newly promoted Cardiff hit the back of the net twice against them during a narrow 3-2 win on Sunday. 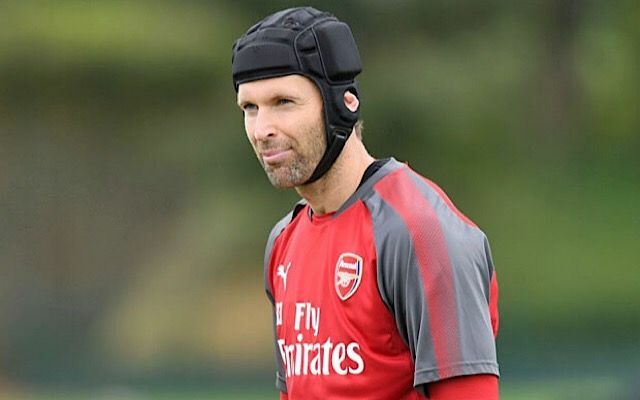 Petr Cech, usually a reliable and composed figure between the sticks, has looked shaky so far when trying to play out from the back, which is a new facet of his game that Emery is trying to improve to fall in line with his passing philosophy. According to BBC Sport, fellow Premier League ‘keeper Ben Foster has defended Cech in the wake of recent criticism, stating that he is being forced to learn a new skill which he has never previously had to use in his career. He told reporters on Monday: “Cech is one of the best goalkeepers the Premier League has seen but that really is not his game. “His strong points have always been being big and commanding and making saves, but the way football is going now you almost have to be one of those Ederson-type of goalkeepers. “For a lot of goalies it really isn’t an easy thing to do. The 36-year-old has had a stellar career in England with successful spells at both Chelsea and Arsenal but it appears that under Emery’s stewardship he is going to have to adapt to a new style of play or face losing his place as the club’s number one. Bernd Leno was signed in the summer to serve as his number two but the German goalkeeper could soon usurp his veteran colleague if Arsenal continue to ship so many goals and look generally vulnerable in defence. Next up for the Gunners after the international break is a trip to St James’ Park to take on Rafa Benitez’ Newcastle side, which will no doubt be another tough fixture for Cech and his defence as Emery’s men continue their 2018-19 campaign.